I like to think of my existence as a feather driven by wind, floating here and there—it’s no accident that my favourite movie is Forrest Gump. Lightness is the secret. When we are light enough, the wind of destiny can lift us from the ground and make us twirl in the air. Then we are truly alive, in those moments in which we manage to abandon ourselves to the stream of destiny. Please forgive my philosophical digression; it is just to explain to you how I ended up in Istanbul. The first time I came here was in 2011, when Angeliki, my girlfriend, and I, took the opportunity of a flight transfer from Athens to Nairobi, to spend three days in Istanbul. During this short stay we were so impressed by the city that we decided we would visit again soon. 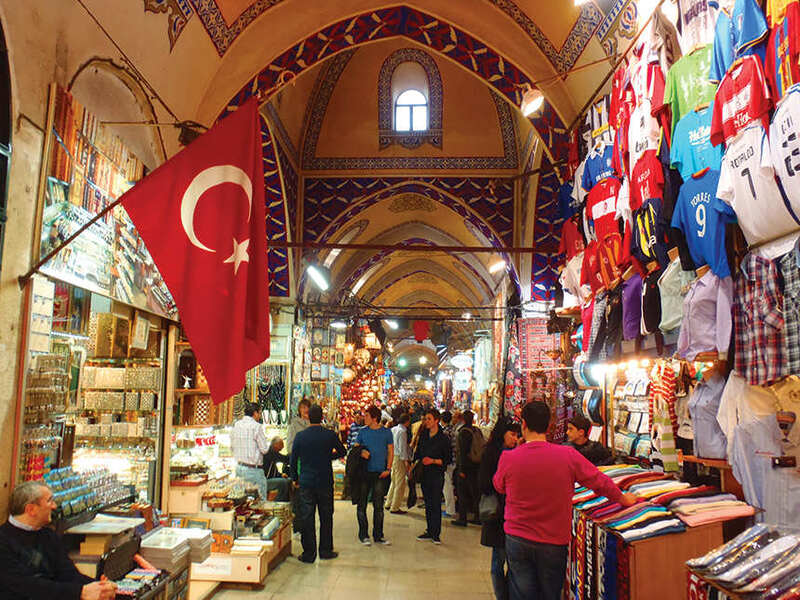 On her way back from Kenya, Angeliki spent another week in Istanbul and, almost by chance, she found a good job and moved there. Things went differently for me: my return flight from Kenya didn’t stopover in Istanbul and, for working reasons, I could come back to Istanbul only several months later. I vividly remember my second trip to Istanbul. Since Angeliki worked long hours, I had all day to explore the city on my own. That’s how Istanbul became my lover. Every day I would leave the house in the morning and return after sunset. I didn’t follow standard itineraries; rather I let my instinct lead me on unknown streets. Loneliness didn’t weigh on me. I never felt alone during those long wanderings. Loneliness is not a feeling that belongs to Istanbul. Even in its remotest corner, you can feel a presence, what Romans used to call genius loci, the spirit of the place. I don’t mean an atmosphere but an entity, a soul. Every city has a spirit, some, by virtue of their age and history, have a greater one. Istanbul is one of these magic cities. There are places in Istanbul where its soul is perceptible, almost tangible. In that second trip, I took the decision to move to Istanbul. Other than my girlfriend, I didn’t know anyone. I didn’t speak any Turkish, I had no idea whatsoever how I would make a living. Yet my instincts were telling me it was the right choice. I trusted it and so it was. Two and a half years later I still struggle with Turkish, but Istanbul has become my home. 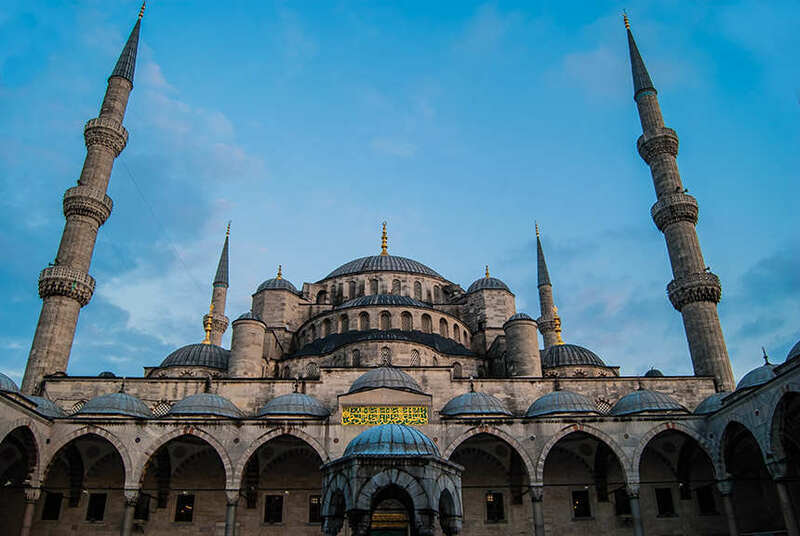 Being a history and arts freak, one of my favourite places in Istanbul is Sultanahmet, the old city, where all the greatest and most famous monuments are: the Blue Mosque, Hagia Sophia, Topkapi Palace, the Basilica Cistern and the Grand Bazaar. I usually come here at dusk, when the swarms of tourists have gone away, to watch the glorious domes and minarets become tinged with the colours of sunset. Yet authentic Istanbul can be found in the traditional quarters such as Fatih, Fener, Berat and Ayvansaray, where time seems to have stopped. Pebbled alleys flanked by scruffy wooden houses, small shops, street markets, old fountains, ruins, mosques and churches, are the stage for dozens of attention-grabbing characters: bearded men playing cards and smoking in the cafes, elderly people sipping tea sitting on tiny tables, veiled women carrying shopping bags, Romani in their colourful clothes, street peddlers pushing their carts full of fruits, vegetables and knick-knacks. On my city bike tours (I work part-time as a tour guide), I show people around these neighbourhoods to show them Istanbul’s less known face, make-up free, with its astonishing, raw beauty. 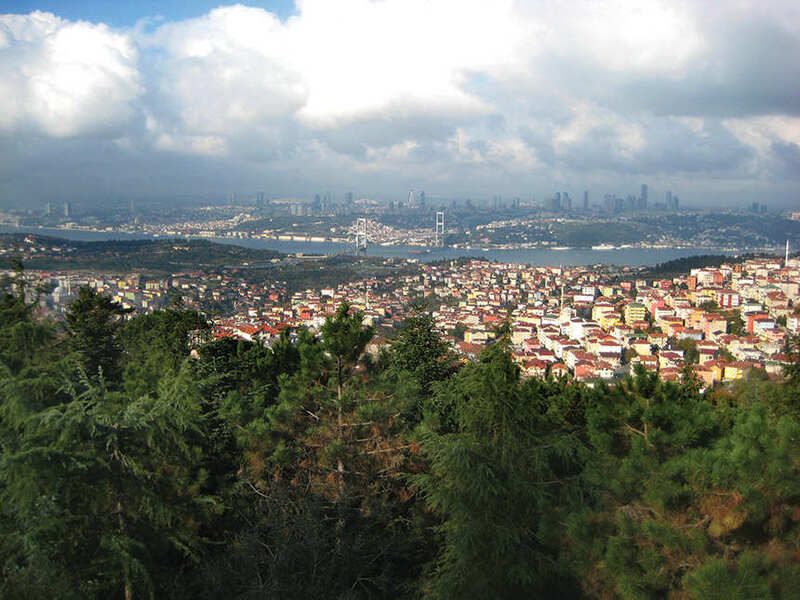 When we ride up and down the hills through village-like areas and along the Golden Horn among Judas trees in bloom, and I see that sight of wonder in my guests, for me it’s like rediscovering Istanbul for the first time through their eyes. We feel free, we feel like being part of this glorious landscape. Sometimes, I lead the bravest on a ride along the old city walls of Constantinople; then we climb the tower of Edirnekapi, the highest point of the old city. From here we cast our sight over an immense expanse of buildings in which the great mosques stand out, and, in the distance, the skyscrapers of the financial district, the Asian side and the waters of the Golden Horn, the Bosphorus and the Marmara Sea, where, concealed by the mist, the Princes’ Islands can be discerned. What makes Istanbul unique is its extraordinary geographical position astride Europe and Asia, with the Bosphorus Straight literally cutting the city in two. A journey across the two continents by ferry is an unforgettable experience. Beautiful houses, great palaces, domes, minarets, towers and bridges unfold before your eyes, while the seagulls follow the foamy wake of the ship. If you’re lucky enough, you can even spot dolphins joyfully escorting the ship. Approached from the sea, Istanbul appears as a mirage, a dreamlike city. Whoever thinks of Istanbul as just an(other) exotic destination is making a mistake. Istanbul is everything and its opposite, a city of contrasts where East and West, old and new, tradition and innovation, secularism and religion, wealth and poverty, are continuously blending and facing each other. Beyoglu district, for instance, where I live, seems like a world apart from the historic centre. Here the atmosphere is vibrant, dynamic, cosmopolitan. Hundreds of thousands of tourists and local people pack Taksim Square and Istiklal Caddesi, the beating heart of modern Istanbul. 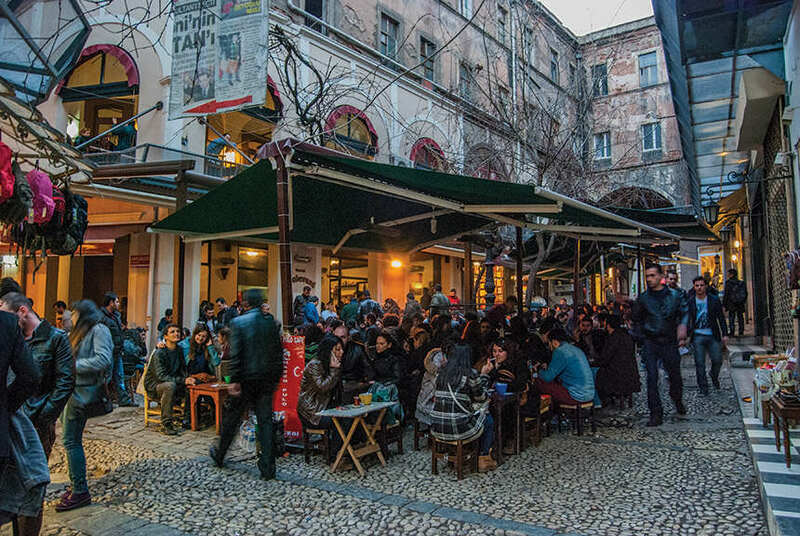 To elude the chaos and fuss, I often take refuge in the bohemian-like neighbourhood of Cihangir, walking up and down its steep and winding alleys among fine buildings, nice cafés, alternative bars and charming underground and antique shops. The countless stray cats prowling the streets and perched on stairs, cars, windows and trees make these glimpses of the city even more picturesque. I consider them the true lords of Istanbul. Perhaps the trait of Istanbul I like the most is its capacity to captivate and stimulate all five senses. You can’t fully experience Istanbul relying only on your sight; you must be ready to capture its smells (coffee, spices, street food, the salty tang of the sea), the multitude of sounds (the call to prayer, the clamour of the crowd, the noise of traffic, the chattering of seagulls, the music of street artists), the tactile perceptions (the fresh marine breeze, the roughness of the stones, the smoothness of the clothes, the steam in the hamams) and of course, the enticing flavours of the delicious Turkish cuisine. I don’t know how much time will pass before the wind of destiny rises and drives me to new lands; but I know that Istanbul is already part of me, and I will carry its spirit with me for the rest of my journey.